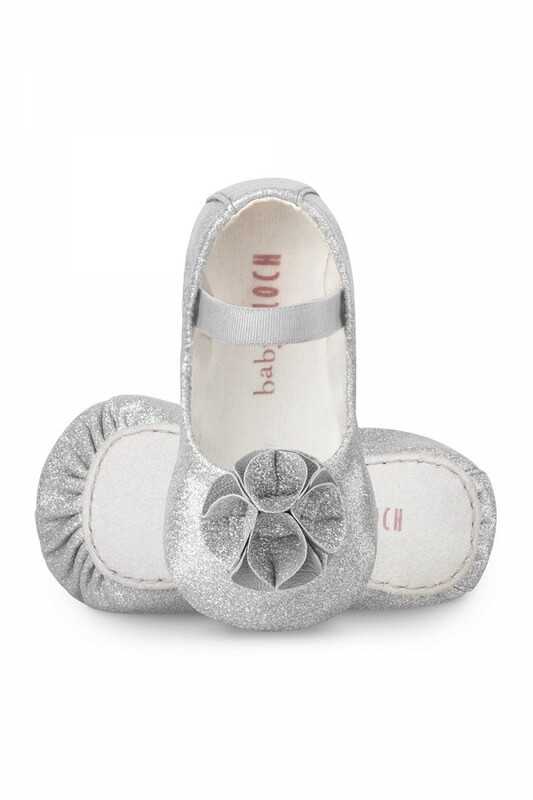 A dainty ballet shoe crafted in a soft glitter fabric that is pressed so that the sparkle does not wear off. Designed with a delightful folded rosette on the front half of the shoe, contrasting with the glitter and plain fabric for added texture and sparkle. A fleecy 100% cotton lining ensures comfort with wear, protected with a suede leather outsole for extra durability. An elasticised strap across the foot holds the shoe firmly in place.